Choosing a wedding photographer was a difficult task for us as we decided to have our wedding interstate and had no local recommendations to go by, however we were lucky enough to stumble onto Simon's details and couldn't have been happier with the results from our special day. Both of us are not particularly photogenic and we didn't want the whole wedding day to be about getting the perfect shot, yet naturally we wanted amazing photos to remind us of a fabulous day. Meeting and talking with Simon in the lead up to the wedding we knew straight away he would be a great choice for us as he was friendly and easy going, but also really professional. Thank you so much Simon - your turnaround on getting the photos to us was great and we can't say enough about how happy we are. You know that feeling you get when you find an old photo? .... and it just brings back the moment? The feelings, the place, the smells, the sounds, even the people you were with? When our wedding photos arrived from Simon we were just taken back to our special day - from leaving the house (and the realisation my father had left his flies down!!) to the lovely old church, to my husband's (I love that word - husband) parents' beautiful garden and finally to the reception in our garden. We could remember every moment, every detail, through Simon's fantastic story in pictures and we laughed and we cried all over again. All our friends and family thought Simon was a relative of mine from the UK because he just was a part of our day and as a result everyone just relaxed and enjoyed it. We have wonderful memories of our happiest day together so far and we know in the future when we find an old photo it will take us back to that day and that moment and no doubt we will laugh or cry all over again... Thank you Simon. My husband James and I can’t praise the quality of Simon’s work and his work ethic enough. We first met Simon 10 months before our wedding and knew immediately that we wanted to work with him. He was genuinely interested in getting to know who we are as individuals and as a couple and made us feel very at at ease from the first conversation. Simon’s communication leading up to the wedding was excellent, he got back to any queries we had very quickly and gave us guidance on a photography timeline for the day in order to make best use of his time. On the day Simon was very professional and reassuring. One of the best things about working with Simon is his relaxed nature and ability to fit in. He is very subtle and doesn’t dominate the room like I’ve seen some photographers do. He is also excellent at taking direction and dealing with others who like to consider themselves professional photographers too! We received the online photos within 10 days after the wedding and the USB shortly after that. Overall working with Simon was absolutely fantastic and we can’t recommend him highly enough. Please send me your details and I'll be in touch super fast! If the phone is more your thing, or you need a quick answer to a question, please feel free to give me a call. 0450 586 561 are the magic numbers. We are so happy with our decision to have Simon be our wedding photographer. From the very first email and then the first meeting, Simon was absolutely wonderful – he put us at ease with the whole wedding planning process and was so helpful. Throughout the planning process, he was easily contacted and great to deal with. On the day itself, he seemed to be everywhere at once, capturing the big and little moments with a great eye. Our photos are gorgeous and of excellent quality. We can’t rate him highly enough! From our first meeting we found Simon relaxed, efficient and very friendly. Simon was very reassuring when we told him we felt totally out of our depth and had no idea where we wanted wedding photos, just that we wanted a nice mixture of candid, relaxed, fun and more formal photos. Simon gave us a list of possible locations to go and look at based on what ‘feel’ we had told him we wanted for our wedding photos which was fantastic. In terms of the day, Simon was great fun (despite it being almost 40 degress!!) which made us feel really relaxed and helped us enjoy every moment. All of the photos looked amazing and one of the most lovely surprises was seeing the moments he captured when we didn’t realise he was around. The candid photos are our favourites! His service was outstanding and we also received our images really quickly after the wedding which was great. I cannot recommend Simon’s work highly enough. Not being overly photo-y people, and with a dash of weirdness to boot, we needed someone that understood what we wanted out of our wedding photos, without telling us what we should have for a wedding. That’s where Simon comes in. After a long and frustrating search, we happened on his website and knew straight away that he was what we were after. Not afraid to play a little bit left of centre, Simon was easy going, energetic, and good humoured about the sort of things we wanted. He really blended into the crowd at the reception, which resulted in some great candid shots, and our portraits were stunning. Great value, and coolest USB ever. Thanks again for everything. Simon was fantastic! Our wedding was very casual and his photos totally reflected our day. He blended in and managed to get many beautiful candid shots, not just of the bridal party but of all our guests – there was at least one sneaky & gorgeous shot of every single one of our guests. He worked hard to capture all the little details-hand made decorations, outfit details, flowers, shots of the property where our wedding was held, handwritten speeches, he captured it all. All our guests agreed that he was a pleasure to have around and we would certainly recommend him to our friends and family. Both my wife and I can’t recommend Simon highly enough. He is a lovely guy and an exceptionally talented photographer. We’re absolutely over the moon with the quality and range of shots. He totally understood what we were wanting from the get-go and far exceeded our high expectations on the day and final product. We’ve received some wonderful feedback from our friends and family, even a few recently married are asking where on earth we found him? Overall delighted and would happily recommend and have in a heart beat. Look no further for brilliance and an unobtrusive professionalism. 10/10. We had our wedding in August 2012, and had heard some horror stories about wedding photographers, and so were careful to choose someone who was not only reasonably priced but would fit into the day we had planned, rather than dominating it! We found that with Simon at Wedding Snapper. Simon was professional, experienced and relaxed, has a sense of humour and made sure we knew about the style we would be receiving with him upfront (i.e. capturing the events of the day without it turning into a day long photo shoot!). We were so happy with the finished product, and Simon was so well prepared i.e. having scoped out the interior of the restaurant for our lunch, and looked into some great photo locations between the ceremony and the reception, and he was in touch regularly leading up to the day so we we had no concerns that the details for the photography were in place. We got some unique, lovely photos, and Simon was flexible enough to grab other unplanned opportunities that came along which provided great shots. He was also great with the fact some of our friends are also budding amateur photographers, and didn’t mind them clicking away nearby while he was taking photos too – he even gracefully put up with one of my relatives ‘helpfully’ explaining to him how to take his photos!! All in all a fantastic relaxed day, with beautiful products at the end. Would recommend Simon to anyone looking for a great photographer for any special occasion (and already have!!). Thank you so much Simon for capturing special moments during our amazing wedding day. Pete and I couldn’t believe the photos you managed to capture of our guests enjoying themselves. You are truly one of a kind. You were so generous and patient with everyone. My mum says you are “tops’. To anyone wishing to book a wedding photographer, do yourself a favour and call Simon. You will NOT be disappointed. Thanks again Simon. With all the planning we did for our Wedding I was most concerned with finding the “right” photographer as I knew in years time it’s our photos we would look back on to remember our day…and I had a very certain look and feel I wanted for my photos. After seeing Simon’s website and then meeting with him I knew he was EXACTLY what I wanted and more!!! Simon has an amazing gift of capturing each special moment throughout the day in the most beautiful photos. Simon made taking all the photos as stress free and painless as possible and he made everyone feel at ease with his great sense of humour and easy going nature. Simon was very professional throughout the entire process even when I had a few “Bride-zilla” moments!! Our dog even fell in love with Simon and loved him taking her photo during the morning when the bridal party was getting prepared! For what you get Simon’s prices are very reasonable (don’t tell him that!!) and now 6 months on I don’t even remember the exact costs/details BUT I do know how much we and everyone that has seen them… LOVE our wedding photos. Thanks again Simon!!!! I will continue to recommend you to all my engaged friends without hesitation or any doubt!!!! Wonderful! We can’t praise Simon highly enough. He created a relaxed and warm atmosphere that even our guests commented on and produced exceptionally beautiful shots in trying circumstances: a true Melbourne downpour; 60ml of rain! We have a beautiful collection of posed (but not stale) portrait shots rounded off with gorgeous candid shots of the day – which we’re sending with the thank you cards! Thank you Simon, we had a fantastic day with you and you have given us photos which make us smile and laugh. What can we say – just perfect! We were after relaxed photos that captured the special moments on the day without any stress or fuss and this is exactly what we got! Simon was just fantastic – friendly and professional from the start to the finish and nothing was too much trouble. For our first meeting Simon came to meet us at our reception venue and he had great ideas for photos that would be a little bit different from the norm! He blended in so well and he exceeded our expectations with the amount of time and effort that he put in on the day. We ordered out photos on a DVD which has been a really convenient way for us and our friends and family to enjoy the photos. All in all, we are so happy with our photos, the only hard thing will be trying to work out which ones to put in our album! Get in and book quickly while you can – Simon came recommended to us through a friend and we can assure you that word of mouth will travel fast – he is the complete package – thanks again! Just BRILLIANT!!!! Book him before he gets booked out!After meeting with Simon, we didn’t have to think twice about booking him for our wedding. His relaxed, professional style was exactly what we were looking for & he was an absolute pleasure to work with. He listened to what we wanted from our photographs & was was more than happy to accommodate any ideas we put forward. As neither of us particularly enjoy having our picture taken we were not looking forward to that part of the day but Simon made it so easy & painless it became fun! Apart from the group shots we’d requested, he was so discreet we weren’t even aware of him being there, especially during the ceremony. But having seen the results, he was definitely in amongst it all, capturing us, our guests & the setting perfectly. We now have an amazing collection of captured moments to remind us of the fantastic day we had. The only complaint is how hard it’s going to be to deciding which ones to include in an album!I wouldn’t hesitate in recommending Simon to anyone looking for a photographer – his work is fantastic, our guests all loved him & the praise for his photos just keeps on coming in from our family & friends. What more could you want? Simon is truly an outstanding photographer and I highly recommend him to others. From the initial meeting to the wedding day, Simon was always approachable, friendly, professional and willing to answer any question or help out in any way. He is an amazing photographer but is also very humble and doesn’t take himself too seriously. This was crucial in helping us feel relaxed and comfortable and ensuring that the photos were candid and natural. The photos were perfect and the DVD presentation beautiful. It was an absolute pleasure to have Simon at our wedding. Simon is sheer genius! For months we googled and researched so many photographers and came across Simon. Our photos and video were our top priority. He was the only meeting we had and after seeing his shots and his relaxed and professional attitude we had no doubt we had made the right choice. After seeing our photos tonight we are nothing but ecstatic about Simon’s work. He was able to capture priceless moments and captured our wedding and all it’s emotion. Natural and real was what we wanted and that is what we got. We don’t even know where to start choosing photos for our wall as the options are endless! Simon always put in the extra effort, even attending our rehearsal! We know we never would of got that service with another photographer. You spend the most time with your photographer on the day and it was an absolute pleasure to do so with Simon. His work with Chris Grose (our videographer) was insightful and artistic and they work seamlessly to produce an amazing product! Simon, thank-you for your fantastic work!!!!!!! Well and truly beyond all expectations. Having decided to get married less than six months after becoming engaged I was amazed to find Simon and thought his offering was too good to be true. Simon came to us to chat through our expectations and was very open, honest and interested in hearing about our plans for our day. This friendly, candid and relaxed personality completely matched his easy going, professional style on the day. Not only did Simon take amazing photos of us and our bridal party but also of the venue, our guests and their children. So many people have commented on how “lovely” he was and of his ability to capture the true spirit and fun of our wedding day.By the end of the day Simon was on a first name basis with so many guests it was like he was part of our family! Simon made an effort to fit in so well (and naturally did) that he even came along to our after wedding BBQ as a guest!I really could not recommend Simon highly enough. We could not fault his communication pre-wedding, his efforts and breadth of photos from the day or his fast turn around post wedding. 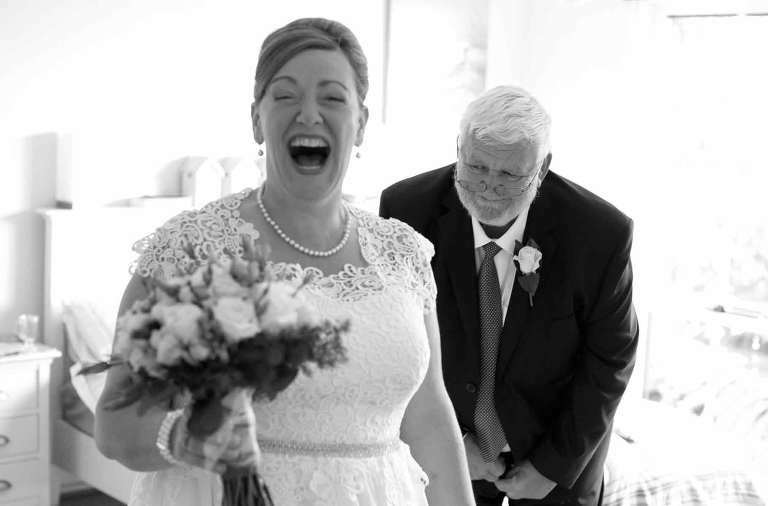 Wedding photos are always that one thing that you desperately hope will turn out well. The one piece of the wedding that you cherish and hope to one day show children, grand chlidren and so on. We will forever be grateful to Simon for giving us and our guests some amazing images that will help bring our memories to life for a long, long time. Our day was made easy because of how relaxed and professional Simon was. Exactly what we had hoped for. Our photos have turned out exactly as we had hoped, all the photos we wanted and all the random ones we didn’t expect also. Thank you so much Simon. Simon was the first wedding photographer I met with, and whilst initially I had planned to meet with other wedding photographers, I changed my mind after meeting Simon. Simon had a relaxed, friendly and professional approach and I just knew he was the right wedding photographer for our wedding. Simon was very accessible in the lead up to the wedding and was always prompt in responding to any questions we had. He did a great job blending into our family and friends on the day and it was very easy to forget he was there as our photographer. We were extremely delighted with our wedding photos, as they captured our wedding day just as we remembered it. The photos are relaxed and candid and captured our guests naturally, and exceed our expectations. Our guests have also commented on the quality of our wedding photos, with one guest even requesting Simons details for his family portraits. Simon was fantastic as a wedding photographer and we could not recommend Simon more highly. Simon was excellent. We could not have chosen a more relaxed, competent, friendly and professional photographer for our wedding last year. And his value for money is second to none! We wanted to hire a photographer who knew his subject, the venue and would be able to develop a set of photos that reflected the fun, friendly & relaxed atmosphere that we had been determined to engender on our special day. Our request was for him to capture ourselves and all of our guests enjoying the day, each others company and the occasion and setting in which wed taken our vows and then celebrated afterwards. Simon and his assistant were able to do that perfectly. We could not have been more pleased with the results. And in doing so they were almost unnoticeable, blending in with the guests which resulted in a set of very natural photos, with peoples personalities and enjoyment shining through.Simon included a portfolio of quality professional photos and an accompanying DVD of the same excellent standard.We would highly recommend any couples to engage Simon as their wedding photographer.Brian & Kazu, Moonee PondsWe wanted professional quality photos with as many relaxed, unposed candid moments as possible for our wedding. After seeing Simon’s work and immediately after meeting him we both agreed to book him without meeting any other photographers. Simon was an absolute pleasure to deal with on the day, he kept us relaxed, handled alot of kids and inclement weather with aplomb and our photos turned out beautifully. We would both absolutely recommend him to anyone wanting to cherish the memories of their big day. We hired Simon to do our wedding photos in February. We were after casual, fun photos and he definitely made it that way. I forgot many times that he was still around during our reception, but every now and then I’d see him pop up somewhere taking pictures of the guests. He was full of great ideas and our wedding pictures show that. The presentation of the dvd is great too. Definitely something that will be a memento of our day. Very well priced. Especially compared to a lot of the other photographers. I’ll definitely recommend him to anyone. Thanks!! We can’t recommend Simon highly enough – he was simply amazing! He was so accommodating and fun to have around. We wanted a mix of candid and more posed photography and Simon was so great at guiding us when we needed it (without being bossy) and also capturing those fantastic moments without us even realising he was there. He actually listened to what we wanted (a lot of photographers didn’t) and worked really hard to give us just that. He is incredibly well priced, especially considering how exceptionally professional, creative and flexible he is. His easy going / calm approach also provided some relief to what can be a very full on day. We were SO pleased with our photographs – he was the PERFECT person to have capturing our special day. Thanks so much Si, you’re the best! Simon did a fantastic job as our wedding photographer. We wanted the photos to be casual and natural and we couldn’t have asked for a better result. He was also able to suggest the perfect location for photos before the reception. We were so happy with the DVD that we received. There were so many great shots.I wouldn’t hesitate in recommending Simon to anyone as a wedding photographer. Thanks again! Brilliant! We wanted a candid, journalistic type of wedding photography – natural photos of people dancing, smiling, laughing etc, rather than stiff portrait shots. Simon met this brief perfectly, and I couldn’t be happier. It was also great that he just gave us a DVD of all the shots, so we didn’t have to pay ridiculous amounts for prints. He did a great job of blending into the crowd at the reception and capturing people having fun!Simon only moved from England not that long ago, and I think this is the reason his prices are affordable (to build a business base) – I wouldn’t be surprised if he was charging $$$$$ in a few years time – the quality of his work warrants it. Thanks. Simon took my wedding photos just over 2 weeks ago. I already have the edited images on disc in my hand! He was amazing- unobtrusive on the day. Photographed exactly as we wanted- in a candid style. Nothing too cheesy or posed. It was fun having him shoot us. Very reasonably priced and fast service. Our photos are simply beautiful. He even captured our nearly 2 year old looking half decent…definitely not an easy task! I would HIGHLY HIGHLY recommend him to any bride to be for high quality wedding photography. We simply could not have asked for a better photographer to capture our day. Simon is not only a talented photographer, he is the ultimate professional with a great sense of humour.It was a bit like having an old friend take the photos on the day! We have such a lovely range of natural, fun and relaxed shots – it will be very hard to choose which one gets pride of place on the wall.We have also received fantastic feedback from our guests about Simon, with a few requests for his contact details for their own special days.With a quick turnaround, gorgeous photos and competitive prices, I would highly recommend Simon for any wedding or special event. We were recently married 2 weeks ago. The night we arrived back from our honeymoon Simon personally placed our wedding photos in our mailbox. We just couldn’t believe the results. They were perfect and he truly went out of his way to make our day special and find the positive and creative aspects to our special day. We have beautiful memories to share now and we couldn’t have asked for a nicer more professional photographer. Great job Simon. Highly recommended and very reasonable rates. Thanks Simon. We wanted relaxed photos that captured the real feel of the day. Simon manages to take photos where the subjects are unaware. This captures the real events of the day. He was unobtrusive and really easy to work with. The photos are better than I could have hoped. Thanks to Simon for getting some fantastic photos of our wedding! Things were certainly not made easy for him with 3 year old flower girls and the wind to contend with, but nothing was too hard for him. He was so easy going and made sure we got the shots we wanted; plus we had the photos in our hands so quickly. All this and for such a great price! We couldn’t recommend highly enough! Thanks so much to Simon for taking such beautiful shots of our wedding. He was prompt, full of fantastic ideas and easy going. We didn’t even notice him taking photos during the ceremony! We wanted our wedding day to be relaxed and casual and Simon managed to capture that effortlessly in our photos. We couldn’t be happier with the end result and for anyone that needs a photographer – he’s your man! Wow! Simon was totally fantastic. He really got what we wanted and that was a small elopement ceremony with no fuss but something that was still special and meaningful. Our photos were gorgeous and Simon was a pleasure to have around on the day. Easygoing and fun. He helped make our day exactly as we wanted it – and now that the day has come and gone we have the most wonderful photos to remember the day by. We loved the natural creative shots and were really thrilled with the results. Many many thanks. Simon’s photos were fantastic, his manner was professional yet relaxed. His packages were very flexible and we were really happy with the whole service. Thanks heaps! The package was exactly what we wanted – the images on a disc for us to do with what we want. The photos are so amazing – everyone keeps commenting on how wonderful they are, which we agree on wholeheartedly. And Simon made the whole process so enjoyable and painless, and even fun, which I didn’t think was possible. We will treasure these photos forever, they are of a truly high quality and are much, much better (and cheaper!) than anything else I could find when I was looking. Can’t recommend Simon highly enough! There’s not much more to say…everything the previous reviewers have said about Simon is TRUE!! Simon worked non-stop on our wedding day to capture every moment and it really showed in our photos. Simon was with us for probably 12 hours and he just didn’t seem to get tired. I don’t even think he took any breaks! We would recommend Simon to any of our friends in an instant and that’s the highest compliment we can give. My husband James and I can’t praise the quality of Simon’s work and his work ethic enough. We first met Simon 10 months before our wedding and knew immediately that we wanted to work with him. He was genuinely interested in getting to know who we are as individuals and as a couple and made us feel very at at ease from the first conversation. Simon’s communication leading up to the wedding was excellent, he got back to any queries we had very quickly and gave us guidance on a photography timeline for the day in order to make best use of his time. On the day Simon was very professional and reassuring. He knows the kind of photos every bride and groom are looking for as well as taking many unique shots. Simon was comfortable ‘doing his thing’ around my parents’ house as well as at the reception which resulted in a number of photos we didn’t realize were being taken which was a lovely surprise. One of the best things about working with Simon is his relaxed nature and ability to fit in. He is very subtle and doesn’t dominate the room like I’ve seen some photographers do. He is also excellent at taking direction and dealing with others who like to consider themselves professional photographers too! We received the online photos within 10 days after the wedding and the USB shortly after that. Overall working with Simon was absolutely fantastic and we can’t recommend him highly enough. Everyone says enjoy your wedding because it is over so quickly, thanks to Simon (aka. Wedding Snapper) our wedding will live on forever through the amazing photos that he took for us on the day! We just love how he captured everyone and everything so naturally. The photos tell the narrative of our special day – thanks so much Simon. For people looking for a photographer, the reviews online about Wedding Snapper are 100% correct. Simon provides a very professional service at very reasonable prices. He goes the extra yard, he is genuine, thoughtful, professional, patient, funny and as others have mentioned, a little sneaky (how else can he get those candid shots!). 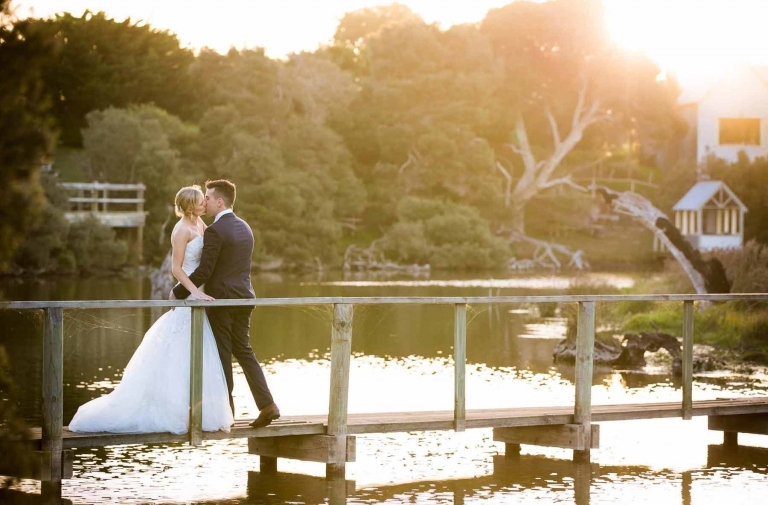 We highly recommend Wedding Snapper! We are delighted with the photos. Simon was wonderful on the day, making us feel relaxed and comfortable having our photos taken. It was a very special day and the photos that Simon took reflect it. Thank you again Simon. We’d happily recommend you to anyone! Simon is AMAZING!!! We had a very small intimate day and he captured it perfectly! He put us all at ease, Simon was just snapping away in the background capturing our prefect day. I cannot say thank-you enough! The photo’s were back to us quickly and the editing was spectacular. Simon is the go-to photographer if you are ever getting married, you will not be disappointed! Thank-you for a wonderful day captured amazingly! We couldn’t be happier with our photo’s and how the day went from start to finish, all thanks to Simon! He made us all feel so comfortable and is extremely talented. Simon was fantastic to deal with. I was quite specific that we didn’t want pretentious and posed wedding photo’s which many other companies seem to specialise in. Simon understood and managed to get natural and in the moment photo’s which have turned out amazing. Simon is an amazing photographer, and I can’t recommend him enough. From the beginning he takes time to get to know you, and to determine what it is you want from your wedding photography. He is amazing and calming on the day, and gets to know the guests too. Let’s chat about YOUR wedding photography.